Greetings! This is my second Morocco-inspired post and it's about food. The first post about the sights that I've seen in Rabat and Volubilis was posted here. More to come on Fez, Marrakesh, and Casablanca. Before my trip to Morocco, I didn't know how much I would enjoy or dislike the local cuisine. I wasn't too concerned about it because in general, I'm willing to try new dishes from another culture when I travel. Plus, I was staying in hotels, so I thought I could 'wing' it if necessary. It turns out that I discovered and ate so many delicious meals in Morocco. They definitely enhanced my time there and deserve a post on my blog. My hotel room rates included daily buffet breakfasts with all kinds of hot and cold choices so one meal was taken care of. The croissants, pains au chocolate, fresh pressed juices, tea and coffee were very good. Adding a choice of yogurt, cereal, hot items, or fruit, and I was ready for sightseeing for the next few hours! WHAT ABOUT LUNCH, SNACKS, OR DINNER? After my first lunch in Morocco, I knew I'd be eating well and inexpensively for the rest of my trip. I'm sharing photos of some of the dishes I tried in Morocco, from appetizers to desserts, and some street food, too. In case you want to buy snacks, or groceries, the French grocery chain Carrefour has stores in all of the Moroccan cities that I visited, and the souk (local market or bazaar) was a lot of fun to browse what's on sale. Appetizers: Small dishes, or tapas in Morocco, are great to try or share. Olives are common, they come in green, red, or black and were tastier than what I have at home. Soups: The butternut squash soup that I had was super hot and delicious. There were other vegetable soups as well. Salads and vegetables: All kinds of fresh salads and cooked vegetables were available. I chose to eat well-cooked food only. Meat dishes: Chicken, beef, and lamb are common meats on the menu. I thoroughly enjoyed the grilled chicken on skewers, served with rice and vegetables in Meknes but the beef tajine (or tagine) in Fez was definitely the highlight. The tajine is a vessel with a cylindrical top that slow cooks the meat inside until it’s fall-apart tender. Pasta: I had a tomato basil penne pasta, and a chicken mushroom sauce penne pasta on two different days. They were delicious and inexpensive, under CAD$8 each (about US$6) in a full service restaurant. Seafood: The grilled shrimp on skewers with accompanying grilled vegetables at an oceanfront restaurant in Casablanca were top notch. Desserts: All kinds of pastries, hmm, which to try first? Drinks: I drank bottled water most of the time when I was in Morocco. Hot mint tea was common but there was also many tea varieties. Soft drinks, beer, coffee, wine, and fresh juices were readily available. Fruit: Sweet citrus fruits such as oranges, clementines, tangerines, grapefruits, plus prickly pears, pomegranates, figs, dates, and plums were abundant. Street food: Although I chose not to eat street food when I was in Morocco, it was fun to observe the street vendors and their customers. For example, one driver stopped his car and walked to the prickly pear vendor. He ordered a few prickly pears. The vendor cut the fruit open to serve on the spot. After having a few, the customer paid and walked back to his car to drive away. I enjoyed trying the different dishes in Morocco. One glance at the variety of herbs and spices sold in the local market, and I knew I was in for a delicious culinary adventure. Are you an easy eater or a picky eater? Would you give new food a try or stick with what you know at home? I'd love to hear your comments. Greetings! Earlier this month I took a trip to visit Morocco. My itinerary included Rabat, Volubilis, Fez, Marrakesh, and Casablanca. It was a fantastic adventure from beginning to end with so much to explore and experience. Today I'm sharing the top five sights that I've visited in Rabat, my side trip to the archaeological site of Volubilis, and a view of Moulay Idriss, considered to be the holiest city in Morocco. Morocco is a North African country that has a coastline on both the Mediterranean Sea and the North Atlantic Ocean. Morocco's official languages are Arabic and Berber. Berber language became Morocco's official language in 2011. French is widely understood and spoken in Morocco due to its history as a French protectorate (1912-1956). The King of Morocco is Mohammed VI. The local currency is the Moroccan dirham (MAD). The population of Rabat, Morocco's capital, is about 600,000. Both Rabat and Volubilis are listed as UNESCO World Heritage sites. 1. The Kasbah of the Udayas (Kasbah means citadel): This picturesque medieval fortress citadel was built in the 12th century during the reign of the Almohad Caliphate. From the Kasbah, we get a commanding ocean views and beautiful Andalusian gardens on its base. As we walked the small alleyways behind the fortified walls, my local guide explained that the walls are painted blue to keep flies away as as flies do not like blue. 2. The Mausoleum of Mohammed V: This royal family mausoleum contains the tombs of the Moroccan king Mohammed V and his two sons, late King Hassan II and Prince Abdallah. The mausoleum is known for its ornate Alaouite architecture and green tiled roof. The members of the Moroccan Royal Guard are on steeds at the gate of the mausoleum and stand on guard at the four entrances. The horses are changed every two hours. The interiors of the mausoleum reminded me of architecture that I've seen in Andalusia, Spain. 3. Hassan Tower is located on the opposite side of the Mausoleum of Mohammed V. The tower, made of red sandstone in the 12th century, is the minaret of an incomplete mosque. It reached 44m (140 ft) about half of its intended 86 m (260 ft) height before its construction stopped. The rest of the mosque was also left incomplete with several walls and 348 columns being constructed. The doors and fountains facing Hassan Tower display beautiful designs. 4. The Chellah houses both Roman ruins and a medieval Muslim necropolis. Its history dated back to Phoenician time. Abandoned in 1154 and damaged further by the Lisbon earthquake in 1755, it is a fascinating place to wander around. The only remains of once-impressive mosque is the elegant stone-and-tile minaret, now topped with storks' nests, which is considered a sign of good fortune. Can you see a stork flying towards the minaret and a few storks on the minaret in my photo below? 5. The Royal Palace (Dar al-Makhzen) is the primary and official residence of the king of Morocco. The current palace was built in 1864. The large palace complex includes a school for members of the royal family, a mosque, living space for the king and the royal family, accommodation for the Moroccan Royal Guard, and extensive gardens and grounds surrounding the palace. The archaeological site of Volubilis is about 120 km (75 miles) east of Rabat. Morocco has nine World Heritage sites in total, and this is one of them. Volubilis was founded in 3rd century BC, and was abandoned in 11th century AD. The ruins reflect Phoenician, Carthaginian, Roman, and Idrisids cultures. If you're interested in ancient history, I'd highly recommend a guided tour to explore this large and amazing site. Upon leaving Volubilis, we passed by Moulay Idriss, considered to be the holiest city in Morocco. The city is named after the Moroccan saint Moulay Idriss, a descendant of Muhammad, who died and was buried in 792 AD in the city that was eventually named after him. During his life in Morocco, Idriss founded Morocco’s first Arab dynasty as well as the city of Fes and is accredited with converting the majority of Morocco’s population to Islam. Moulay Idriss itself is situated in a valley with lush green hillsides enclosing the white-washed houses of the city on three sides, making for a beautiful sight. I enjoyed exploring the main landmarks in Rabat and the archaeological site of Volubilis very much. Rabat is a laid back and modern capital. Its top five sights are easily accessible in a compact area. Rabat stands in stark contrast to the old cities in the rest of Morocco. In hindsight, I'm glad that I explored Rabat first. It felt like a gentle introduction to Morocco. My next stop is Fez (or Fes), one of Morocco's imperial cities. If you have limited time and want to experience exotic and mesmerizing Morocco, make sure you go to Fez! Greetings! Now that I'm back at home from Morocco, I'm reviewing my autumn fun list that I wrote about eight weeks ago, and my first progress update as posted here to track my progress update #2 for the season. 1. Attend ten concerts: 100% done and more! I was able to attend eleven excellent concerts since September 22 to date. Most of them were piano performances. 2. Visit three art exhibitions: 100% done and more as posted here, here, and here. I also saw amazing arts and architecture in Morocco when I was there earlier this month. 3. Watch ten movies: 70% done so far. I watched Billionaire Boys Club (the first 45 minutes), Skyscraper, Ant-Man and the Wasp, Mama Mia Here We Go Again, Shock and Awe, Casablanca, and Mission Impossible Fall Out. I actually watched Mission Impossible Fall Out twice while flying from Frankfurt to Toronto because part of it was filmed in Paris where I was in August, and I liked the stunts. 4. Try three new-to-me restaurants: 100% done and more! We ate out at Joe Bird, Joey, Taverna Mercatto, and Trattoria Mercatto in Toronto, and different restaurants in Morocco. The Moroccan couscous, tapas, and tagine dishes were delicious. 5. Enjoy Thanksgiving with my family: 100% done as posted here. Our Thanksgiving was on October 8 which was several weeks ago. 6. Meet up with my friends for coffee or lunch: I had four meet-ups so far (three lunches and one dinner). I have one date coming up this weekend and two next week. 7. Write a guest post for another blog in October: 100% done as posted here. From my autumn fun list, I counted six items completed and two well underway. With the year-end holidays approaching, I'm confident that I'll be able to watch more movies, and meet up with my friends a few more times. In addition, I read five thriller novels by Linwood Barclay in October and early November, just before I went to Morocco. I'm currently reading Glass Houses, an award-winning mystery book by Louise Penny. Greetings! I'm back from Morocco and am feeling grateful for numerous things that I'm grouping them into five at the moment. 1. Completing my trip to Morocco with wonderful experiences: I visited Rabat, Volubilis, Fez, Marrakesh, and Casablanca. All the sensory stimuli that I expected from Morocco came true. I'm grateful for my good health throughout my trip, the nice weather, reliable Wi-Fi, amazing sights, tasty food, friendly travellers that I met along the way, knowledgeable tour guides, and my knowledge of French language which enables me to read the local signs and feel more comfortable in a foreign land. 2. Returning home safely without flight delay or lost luggage: I had a carry-on suitcase which I checked in on my flights from Casablanca to Frankfurt and Frankfurt to Toronto. I didn't need to check it in but volunteered since both flights were full and cabin space was limited. My flights were on time and my carry-on arrived in Toronto with me. A happy ending! 3. Relishing the familiarity at home: As soon as I landed in Toronto, it felt great to know exactly where everything is, unlike when I landed in Casablanca and everything was foreign. Both experiences made me smile. It was wonderful to travel and to return home. My appreciation for things at home such as drinking clean water from the tap is heightened. 4. Resuming activities that I enjoy: I'm back to use my home computer, the gym, the swimming pool, the library (already put two books on hold), and blogging. I'll be out and about to attend entertainment, art, and social events. The local shops have put up beautiful displays for the holidays and with the temperatures hover around freezing point, I look forward to my daily walks while feeling the festive atmosphere in the city. 5. Planning for my next trip: This is part of #4 above. I'm always grateful for having the capacity to travel. I plan to be home until after New Year's to soak in all the beautiful festivities and precious time with my family and friends. Then I'll go to explore Guatemala in Central America. A new adventure awaits! What about you? How are things going with you? Welcome to our 11th Wellness Wednesday link up in 2018! Hard to believe that we have about six weeks to go before 2018 is over. 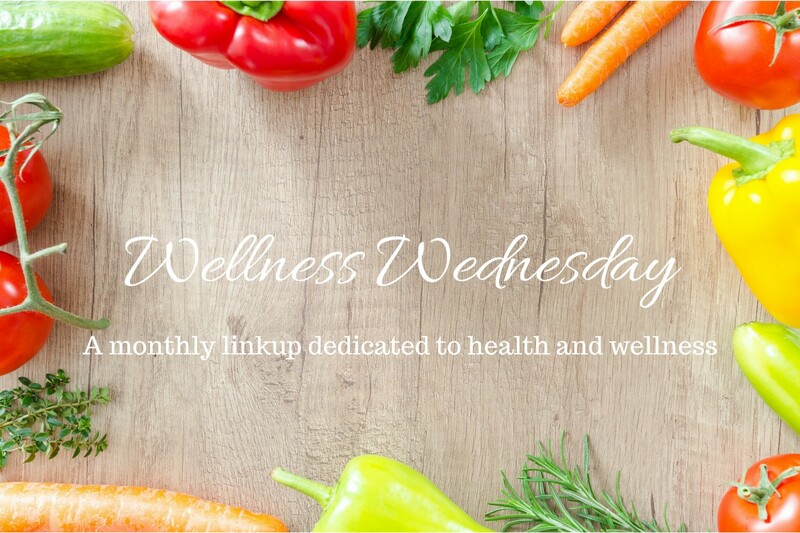 In this post, I'll share my October wellness goal updates, my November wellness goals, and stress management tips. Meditate 15 minutes daily: Done! Meditation is part of my daily routine now and I like this quiet, focused time. Smile or laugh daily: Yes! October in a nutshell was a fun-filled month, full of leisure activities that I enjoy so it was easy for me to smile daily. Walk 45 minutes or more daily: Done! I usually walk 45 minutes in the morning, plus walking around to get from A to B during the day. Work out in the gym three times a week, one hour each time: I worked out fourteen times in October, on Monday, Wednesday, and Friday. Practice yoga twice a week, one hour each time: I attended nine out of nine yoga classes on Tuesday and Thursday. Swim one hour weekly: There were four Saturdays in October and I went swimming four out of four dates. Finish a 5K running race: Yes, I did on October 21, at the Scotiabank Toronto Waterfront 5K race. It was a chilly morning with temperature hovering at 2C (35F). I ran at a steady pace without a walk break, and felt great when I crossed the Finish line. I also ran 5K on each of the other three Sundays in October. In November, I'm in Morocco for part of the month. I usually need to modify my fitness routine when I travel. Sometimes it's due to my traveling schedule, and sometimes it's due to the lack of access to a gym or a swimming pool. Work out in the gym nine times, one hour each time. Attend seven yoga classes, one hour each time. Go swimming three times, one hour each time. When I created this optional prompt, I was thinking how we tend to get more stressed as the year-end holidays approach, and together we can share tips to manage stress. In general, I'd suggest to take a pro-active approach to manage stress before it hits us hard. Activities such as taking breaks, walking, exercising, eating healthy, staying hydrated, doing something fun, socializing, and getting enough sleep all help our well-being. Have a plan for holiday shopping and holiday outings, and stick to it. Your wallet and waist line will thank you after New Year's Day. Spend your time and energy with people, places, or things that bring you joy. Whether it's a phone call, a card, a hug, or a get-together, prioritize your holiday activities. Find some quiet time for yourself to relax and recharge during the holidays. A whole new year will be here soon enough and you'd want to welcome it while feeling your best. Your turn...I'd love to hear how you're doing with your wellness goals and your tips to manage stress. Greetings! Mums is the word as in the hundreds of colourful pot chrysanthemums, cascades, and baskets that I saw at the Allan Gardens Conservatory Chrysanthemum Show. This event runs from October 8 to November 9, from 10 a.m. to 5 p.m. every day, free admission. I visited the Conservatory at mid-day, mid-week and shared the Chrysanthemum Show with a handful of other visitors. Plenty of space and time to pause, admire the flowers, and snap photos at different angles. A very relaxing experience! The Chrysanthemum Show is a wonderful visual treat. There are many plants to see in other parts of the Conservatory, in case you are not into flowers. I hope you enjoy the photos as much as I enjoy admiring the chrysanthemums during my visit. So it's not "mum's the word" as in to keep a secret, or keep quiet. It's mums, mums, and mums everywhere at the Chrysanthemum Show.